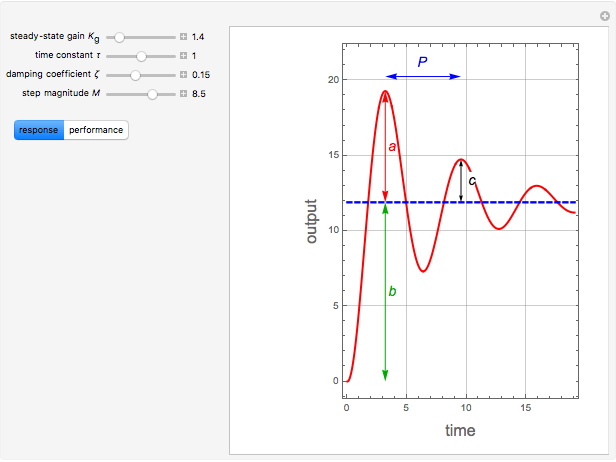 Consider an underdamped second-order process with a transfer function (the ratio of output to input of a system), given by , where is the steady-state gain, is the time constant, and is the damping coefficient (with ). The process is subjected to a step input . 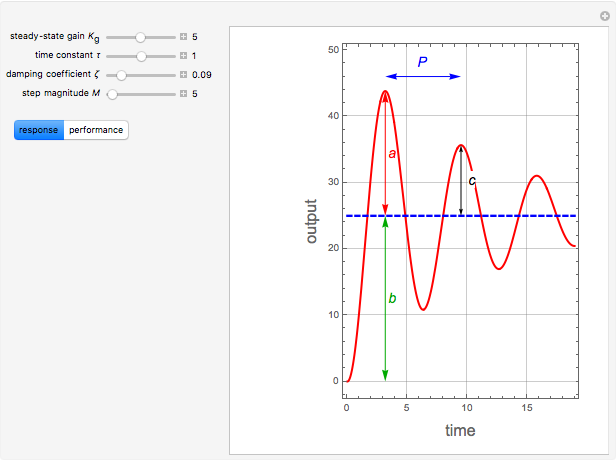 This Demonstration shows plots of the response and finds its performance characteristics: overshoot , decay ratio , time to rise , time to first peak , and period of oscillations . 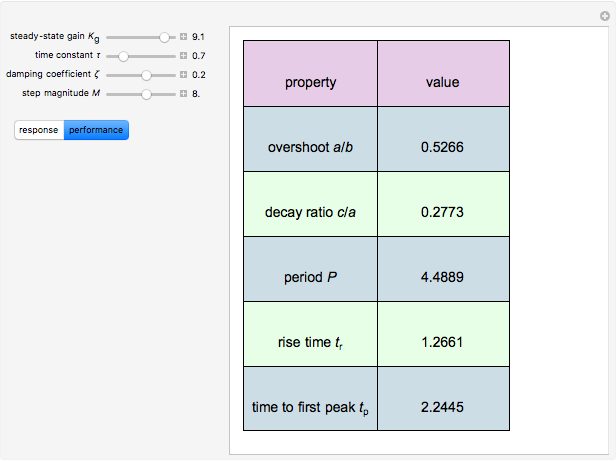 You can vary the values of , , , and . Here, the values of are restricted to the interval in order to clearly identify , , , and in the plot of the output function . The overshoot is equal to . The decay ratio is equal to . The period of oscillation is . The time to first peak is given by . The rise time is the solution of and . D. E. Seborg, T. F. Edgar, D. A. Mellichamp, and F. J. Doyle III, Process Dynamics and Control, 3rd ed., New York: Wiley, 2011. Housam Binous, Mohammad Mozahar Hossain, and Ahmed Bellagi "Performance Characteristics for Step Response of an Underdamped Process"